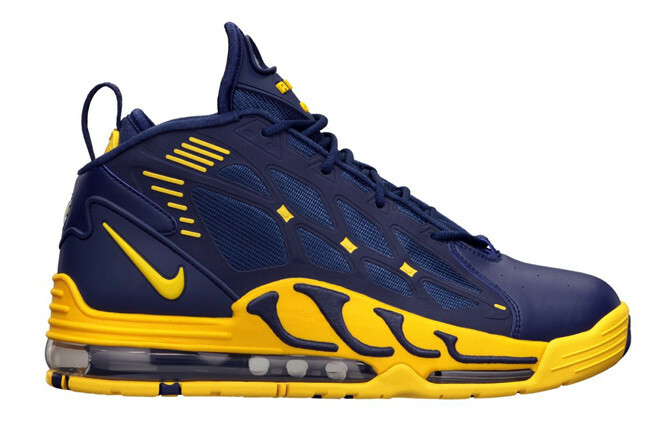 The classic Air Max Pillar Trainer is back, this time in a Michigan Wolverines look. The classic Air Max Pillar Trainer is back, this time in a Michigan Wolverines look with this Midnight Navy/Varsity Maize colorway. Nike Sportswear brought the big and bold fully Air Max cushioned Pillar back earlier this year in its original colorway, and now we see it with this Michigan fan-ready color scheme. The Air Max Pillar in Midnight Navy/Varsity Maize is available now at your favorite Nike Sportswear retailer, as well as online at Nike Store.